On 29 February the second MTCR mission brought a delegation to Astana, Kazakhstan, for a meeting at the Ministry of Foreign Affairs. This delegation was lead by the MTCR Chair, ambassador Piet de Klerk (Netherlands), and consisted of representatives of the MTCR Troika, the MTCR expert groups and several MTCR Partners. Prior to the outreach the MTCR delegation was received at the Netherlands embassy in Astana by ambassador Hans Driesser. The visit followed up on several previous Outreach visits to Kazakhstan. 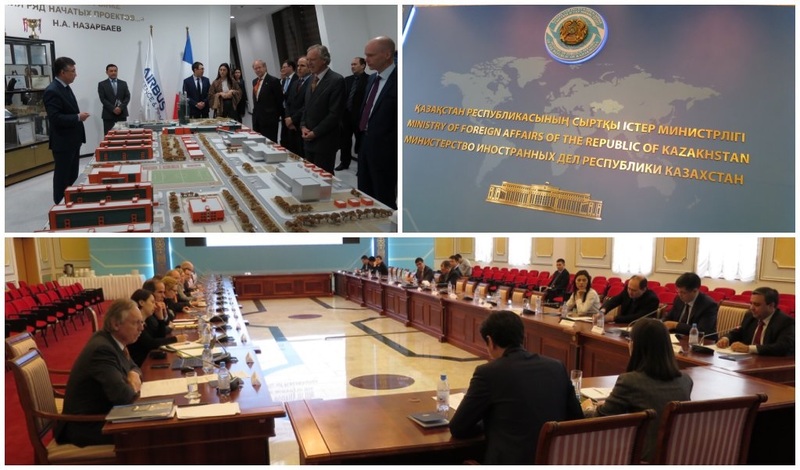 The MTCR delegation provided a general overview of the Regime and briefed the Kazakh delegation on the work of the MTCR and its expert groups, including recent changes to the MTCR Annex. Kazakhstan provided an overview of its space activities and its export control system. Afterwards the MTCR delegation visited the headquarters of JSC Kazakhstan Garys Sapary. The MTCR delegation was briefed on the ambitious plans to construct a new space centre at this location, which will also include a space museum, and on various current and planned space projects. The new satellite mission control centre was also visited. The current joint Netherlands-Luxembourg Chairmanship has planned several more outreach missions in the coming months.